Make your potluck dinner a white Christmas the Pinoy way with a very special recipe. 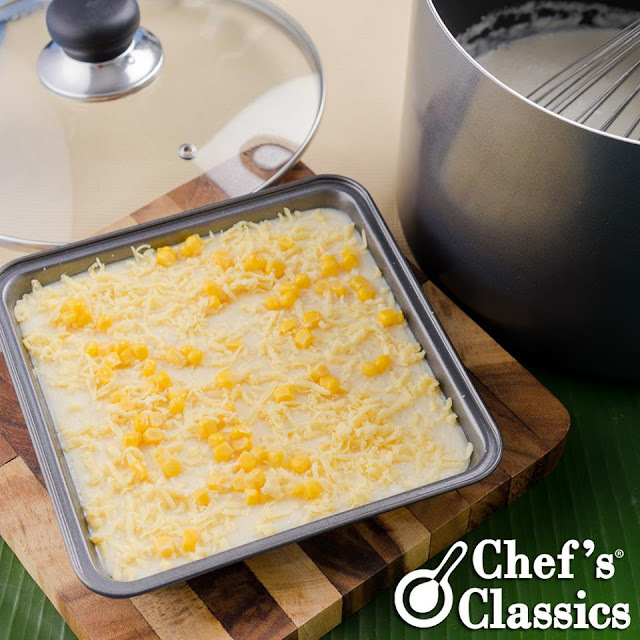 We'll teach you how to make a Maja Blanca. 1. Bring to boil coconut milk in a Chef's Classics Ashley Stockpot over low heat. 8. Garnish with grated cheese, nuts or raisins. Serve Chilled.